1.Light up the party with these fun finger lights. 2.Each finger light has an elastic band that easily fits on your finger to keep the finger lights in place. 3.Great to stand out on the dance floor! So many places to use finger lights such as raves, concerts, clubs, birthday parties and any other night time event. 4.Batteries are included. 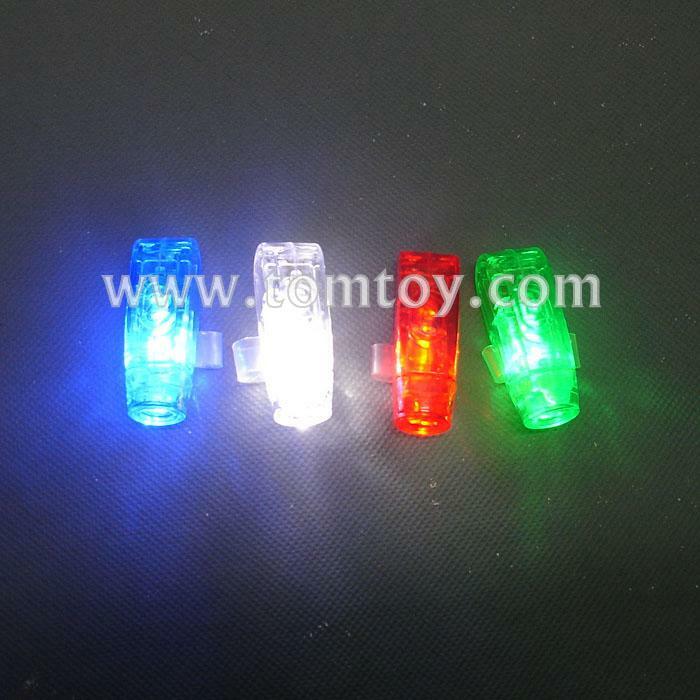 You will receive an assortment of blue, green, red and white finger lights. 5.Color Laser Finger is great gift for kid, quite eye-catching in dark.